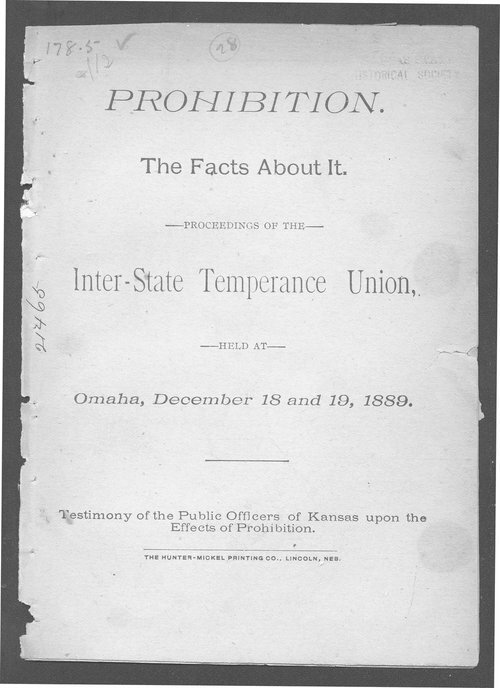 Proceedings of the Inter-State Temperance Union held at Omaha, Nebraska, on December 18 and 19, 1889. Also listed is testimony of the public officers of Kansas in regard to the effects of prohibition. Prohibition. The facts about it.